Through his collection of essays, originally published in Forbes magazine, entrepreneur Christopher Myers shares an honest account of building his company—BodeTree, an online financial management tool for small businesses. He provides invaluable insights and tips for others looking to start a small business. But this is no ordinary how-to book. Instead of proclaiming that he is a know-it-all dispensing the secrets to success, Christopher provides personal stories of accomplishments and failures. 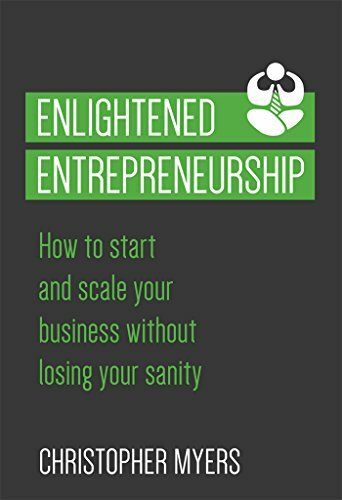 His advice is woven into three sections on starting your business, scaling your business, and staying sane. You will not only learn how to take control of your business decision making, planning, and funding, but you will also discover the importance of creating balance in management and in life. Christopher knows firsthand that responsibility overload can lead to anxiety and depression, and he helps readers navigate these issues. “One thing I’ve come to realize is that everything, good or bad, starts in your mind. What you think is, in fact, what you become,” Christopher says. Embrace the characteristics you admire in yourself and your business. It won’t be easy, but with the right mentality, you can find happiness and achievement.